This is a quick read, which I recommend you read in a nice warm place, because the ice cold will cause you to shiver. I can't say I am a huge fishing fan, but it wasn't really an overwhelming part of the story. Matt is comfortable in his skin – thanks to a great grandad, it has to be said – but that doesn't mean he is hardened to prejudice. John has unwittingly made a huge mistake by offending the very man he is attracted to, and now has to try and get it all sorted out. He takes an extreme approach to showing Matt how he feels, but thankfully the icy atmosphere heats up just fine! TALI SPENCER fell in love with writing at an early age and never stopped. Thanks to a restless father, she grew up as a bit of a nomad and still loves to travel whenever she can. Along the way she enjoyed a series of interesting careers, wrote science fiction and fantasy novels in her spare time, and raised three surprisingly well-adjusted sons. She later married her true love and put down new roots in Philadelphia, where she lives in an ongoing Italian-American family sitcom. At least she’s learned how make good pasta. When not writing, Tali reads everything from sweet goofy romances to ethnic cookbooks, manages her fantasy football team—go Gekkos!—and takes long walks with her loving, if slightly neurotic, poodle. 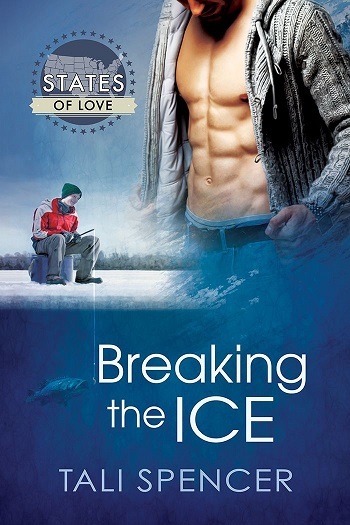 Reviewers on the Wicked Reads Review Team were provided a free copy of Breaking the Ice (States of Love) by Tali Spencer to read and review.